Locally Owned and Operated Since 1984. Greg Kankey, a life-long North Texan, has owned and operated his roofing company since 1984. The company began with the art of laying wood shingles, and also provides its customers with a wide variety of choices in composition roof installations.We take pride in the continued satisfaction with our company. From the initial measurement to the final clean-up, Kankey Roofing provides close job site supervision by the owner. We also use Versico products. Check them out at www.versico.com. 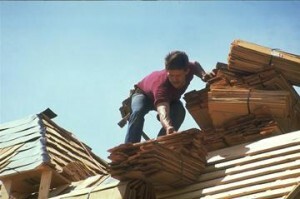 We are able to provide our customers sample boards with color choices on many different brands of shingles. We have products available to enhance water protection and provide your home with superior ventilation. We will sit down and consult with you at your convenience. Call today for a free consultation and estimate.